Hey, hey. It's time for IWSG in March! 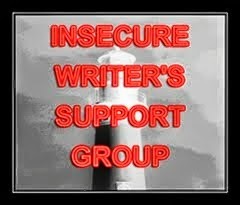 The Insecure Writer's Support Group is a network of writers and we post about our insecurities and writing on the first Wednesday of every month. Come check out the group right here. How do you celebrate when you achieve a writing goal/ finish a story? Umm...I'm not sure if I do? I've given up on two projects in the last year alone, so I'm climbing the mountain on an outline and trying to sort of write a creepy short story that I keep putitng on hold because I have a limited amount of time to write. But at the end of a story or finally finishing that chapter or finally figuring out the key to a character's journey--how do I celebrate? I breathe a sigh of relief and move on to the next thing. We need to celebrate more! Maybe smaller things, like acknowledging it and being happy and maybe taking a night off to watch Netflix, when it something smaller, but finishing something bigger, like a first draft, deserves a treat, I think. I celebrate when my books come out, but I need to celebrate finishing stuff more. It's a big deal! You should give yourself a treat after each finished outline. :) I gave myself a treat when I finished formatting. LOL! I mean, I watch TV or a movie or have dinner with friends specifically after I finish a draft or whatever, but since I haven't really finished anything all year...nothing yet. A sigh of relief is needed! Appreciating the little things in life are often under rated. I am fascinated to learn how few of us reward ourselves (me included). I wonder if any of us will change our habits. Maybe? 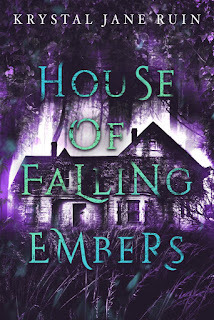 A creepy short story sounds like a great read! Even a small celebration for progress can be fun. Our celebrations are so short-lived, aren't they? But that's how I celebrate, too, unless it is a novel, in which case I get myself a well-deserved drink or two. Sorry to hear you've had to shelve a couple of plots, but your creepy story sounds like a win!